This Request for Solutions (RFS) is issued to identify an integrated solution for the Navy’s Model-Based Product Support (MBPS) environment. The Government will evaluate the solutions with the intent to competitively award one or multiple Other Transaction (OT) Agreements for prototype projects through the Training and Readiness Accelerator (TReX) Consortium. 2.1 The United States Navy requires a prototype Model-Based Product Support (MBPS) system(s) with enterprise and field level capability to effectively and efficiently acquire, field and sustain weapon systems’ digital twin and enable appropriate predictive analysis and modeling tools that can improve material availability and reliability, increase operational availability, and reduce Operation and Sustainment (O&S) cost. 2.2 The delivered prototype solution(s) will be part of the MBPS family of integrated systems and must support both ashore and afloat that are Cyber Secure and auditable. The MBPS services portfolio is composed of Navy Product Data Management (NPDM), Navy Common Readiness Model (NCRM), and Navy Data Acquisition Requirement Tool (NDART). 2.5 NDART. The NDART will enable Navy program offices to enforce common data standards, requirements and acquisition approaches across all Navy weapon systems acquisition contracts. The high level NDART capabilities will enable the Navy program offices to develop web-based Statement of Work (SOWs), Contract Data Requirements Lists (CDRLs), and Data Item Descriptions (DIDs) for the procurement of technical and product data for a system/platform which will support product support strategies and sustainment of systems throughout the lifecycle. 3.1 Attachment 1, MBPS Technical Supplement dated 17 January 2019 and appendices outline the technical program description and requirements of the prototype(s) based on assumptions of the current state of technology. Vendors are encouraged to challenge these assumptions in their individual solutions and should articulate any major discrepancies between the attached technical documentation and the vendor’s technical solution. 3.2 Vendors interested in responding to this Request for Solutions must be members of the TReX. 3.4 This is to advise you that non-Government advisors will assist in the evaluation. The use of non-Government advisors will be strictly controlled. Non-Government advisors will be required to sign a Non-Disclosure Agreement for the MBPS Request for Solution. Additionally, they shall also be required to submit documentation to the Agreements Officer indicating its personal stock holdings for a conflict of interest revie in consultation with the legal advisor prior to being allowed access to source selection information. After the non-Government advisors have completed their particular area of evaluation, they will be released from the evaluation process. All non-Government advisors will only have access to the information corresponding to its area(s) of expertise. They will not have access to the Price Volume of the response. The companies identified herein have agreed not to engage in the manufacture or production of hardware/services/R&D that is related to this effort, and to refrain from disclosing proprietary information to unauthorized personnel. 4.2.1 The cover page shall include the vendor’s name, Commercial and Government Entity (CAGE) Code (if available), address, primary point of contact, and status of U.S. ownership. 4.2.2 Nontraditional Status. Within the cover page the vendor shall provide its nontraditional (see paragraph 5.2.3 for definition) business status or your ability to meet the eligibility requirements of 10 U.S.C. §2371b on the cover page of your response. Within your response, please check the following applicable box – with appropriate justification if needed. □There is at least one nontraditional defense contractor or nonprofit research institution participating to a significant extent in the project. □All significant participants in the transaction other than the Federal Government are small businesses or nontraditional defense contractors. □At least one third of the total cost of the project is to be provided by sources other than the Federal Government. 4.2.3 Definition. Nontraditional – an entity that is not currently performing and has not performed, for at least the one-year period preceding the solicitation of sources by the Department of Defense (DoD) for the procurement or transaction, any contract or subcontract for the DoD that is subject to full coverage under the cost accounting standards prescribed pursuant to 41 U.S.C §1502 and the regulations implementing such section. Owned, Controlled or Influenced (FOCI) status (and are not in merger or purchasing discussions for a Foreign company or USA FOCI Company). Should a prospective vendor be unable to so certify, they will be ineligible for award unless the mitigating circumstances in Attachment 3 are met. In such a case, these mitigating circumstances shall be detailed in an appendix to the General Volume. 4.2.6 Organizational Conflicts of Interest and Mitigation Plans. Vendors will submit an Organizational Conflict of Interest Mitigation Plan via an Appendix to its General Volume. 4.2.6.1 If you performed work on any of the following contracts you should review the Organizational Conflicts of Interest clauses of those contract(s) for compliancy. 4.2.6.2 The Mitigation Plan should reference the regulations implemented in the Federal Acquisition Regulation Subpart 9.5, which implements section 8141 of the 1989 Department of Defense Appropriation Act, Pub. L. 100-463, 102 Stat. 2270-47 (1988). 4.3.1 The cover page shall include the vendor’s name, Commercial and Government Entity (CAGE) Code (if available), address, primary point of contact, and status of U.S. ownership. The cover page does not count towards page count. directly relevant to the solution may be referenced and submitted as appendices and are not bound by the Times New Roman 12-point font requirement. Any pages submitted outside of this page length requirement, outside of standard charts and figures, will not be reviewed. 4.3.3 Vendors may submit a Solution Paper for one or more solutions. NPDM, NCRM, and NDART are each considered a solution. Vendor responses must include systems integration plans that demonstrate how multiple solutions can be integrated into the enterprise MBPS system(s). 4.3.4 MBPS system(s) must consider afloat and ashore Navy users. Naval operational forces consist of surface ships, submarines, carriers, air wings and detached squadrons, expeditionary forces, and cyber forces operating afloat and ashore. They require the ability to generate and sustain material readiness in all environments, to include while in limited or no communications with the Navy enterprise, where material readiness is defined as enough equipment operating with enough capability to meet standards across various pre-defined warfare mission areas. 4.3.5 The MBPS system(s) will be the principal provider of authoritative product data and highly scalable data analytics platform that will be integrated with the Navy Operational Business Logistics Enterprise (NOBLE) family of systems and Navy Maritime Maintenance Enterprise Solution (NMMES) system. 4.3.6 All prototypes will be developed around Human Centered design (HCD) approaches, which shall be integrated with system requirements. 4.3.7 The Navy seeks to focus on mission outcomes and the enabling services and data, while allowing technology to be continuously inserted and modernized without disruption to the user community. Figure 1 represents Navy logistics mission outcomes for material and shore readiness and service experience. 4.3.8 The MBPS system(s) shall be cloud-based and leverage Navy cloud brokers/SecDevOps instances and provide data integration of multiple legacy platforms into a holistic level data environment, accessible via Application Program Interfaces (API) and hosted in a government certified cloud at Impact Level (IL) 4/6. 4.3.9 The cloud environment combined with a common MBPS enterprise system(s) shall provide a highly available and reliable solution. The environment shall be capable of hosting and integrating applications, data, systems and services planned to be transitioned to modern commercial technologies and accomplish this migration of government-owned applications with no degradation of services. Figure 2 represents Navy logistics Enterprise Technical Reference Framework (ETRF). 4.3.10 The vendor’s proposed solution(s) should clearly describe its approach to delivering enduring capabilities as described within this RFS and the corresponding Technical Supplement. 4.3.11 Created software documentation will be marked with Distribution Statement D (Distribution authorized to the Department of Defense and U.S. DoD contractors only due to Critical Technology effective 4 January 2018). Commercial software native to any COTS items used require no distribution statement or export controls. 4.3.12 Vendor solution papers should clearly describe the offered rights in technical data and computer software that will be delivered with your solutions. 4.3.12(a) The offered rights should be displayed in a manner that allows for ease of discussion in determining trade-offs and potential options for long-term sustainability of the deliverables of this effort. 4.3.12(b) If limited or restricted rights are being asserted within your response, detail the specific rationale for this assertion. 4.3.12(c) Any items previously developed with federal funding should clearly identify all components and the Government entity the items were delivered to. 4.3.12(d) If commercial software is proposed to be used within the prototype solution, all applicable software licenses must be included with the response. Note that any software license term or condition inconsistent with federal law will be negotiated out of the license. 4.3.12(e) If the vendor proposes to deliver commercial technical data, computer software, or computer software documentation with licenses providing rights more restrictive than government purpose rights as described in 4.3.13 below, the solution must describe how the design of the proposed MBPS solution provides for modularity sufficient to enable substitution of components of the system at a module or component level. This approach will allow for substitution of such modules or components, and will allow the Government to consider proposals with technical merit, but also include “black box” modules or components with less than government purpose rights. 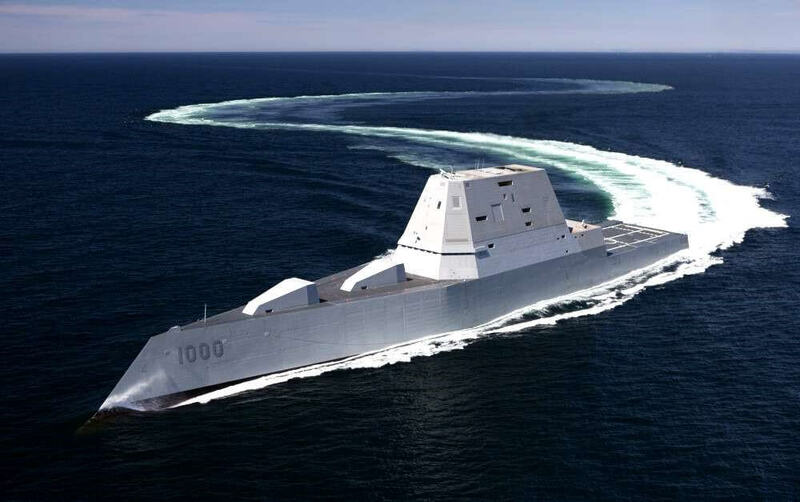 4.3.12(f) The United States Navy has release authority on any publications related to this prototype project. 4.3.13.1 The following definitions apply to this section. 4.3.13.1(a) Government purpose rights means the right to use, modify, reproduce, release, perform, display, or disclose technical data within the Government without restriction; and release or disclose technical data outside the Government and authorize persons to whom release or disclosure has been made to use, modify, reproduce, release, perform, display, or disclose technical data for United States government purposes. The five-year period, or such other period as may be negotiated, would commence upon execution of the Other Transaction Agreement that required development of the items, components, or processes or creation of the data. The Vendor will have the exclusive right, including the right to license others, to use technical data in which the Government has obtained government purpose rights under this agreement for any commercial purpose during this five-year period. Upon expiration of the five-year or other negotiated period, the Government would receive unlimited rights in the technical data and computer software. 4.3.13.1(b). Unlimited rights means rights to use, modify, reproduce, perform, display, release, or disclose technical data in whole or in part, in any manner, and for any purpose whatsoever, and to have or authorize others to do so. 4.3.13.1(c). Limited rights means the rights to use, modify, reproduce, release, perform, display, or disclose technical data, in whole or in part, within the Government. The Government may not, without the written permission of the party asserting limited rights, release or disclose the technical data outside the Government, use the technical data for manufacture, or authorize the technical data to be used by another party, except that the Government may reproduce, release, or disclose such data or authorize the use or reproduction of the data by persons outside the Government if— (i) The reproduction, release, disclosure, or use is— (A) Necessary for emergency repair and overhaul; or (B) A release or disclosure to— (1) A covered Government support contractor in performance of its covered Government support contract for use, modification, reproduction, performance, display, or release or disclosure to a person authorized to receive limited rights technical data; or (2) A foreign government, of technical data other than detailed manufacturing or process data, when use of such data by the foreign government is in the interest of the Government and is required for evaluation or informational purposes; (ii) The recipient of the technical data is subject to a prohibition on the further reproduction, release, disclosure, or use of the technical data; and (iii) The contractor or subcontractor asserting the restriction is notified of such reproduction, release, disclosure, or use. 4.3.13.1(d). Restricted rights applies only to noncommercial computer software and has the meaning included in Defense Federal Acquisition Regulation Supplement 252.227-7014(a)(15). 4.3.13.2 All rights in Technical Data and Computer Software are negotiable based on the vendor’s proposed solution. The Government seeks government purpose rights to all development and deliverables of technical data and computer software funded under the OT agreement. 4.3.14 Anticipated Delivery Schedule: Vendors shall include its anticipated delivery milestone schedule to reflect its individual solution. The Government’s desire is to complete all prototypes for the governments full set of requirements, to include legacy system rationalization, within 24 months after prototype award. The government will consider incentivizing Vendor solutions that deliver ahead of the government proposed timeline. 4.4.1 The cover page shall include the vendor’s name, Commercial and Government Entity (CAGE) Code (if available), address, primary point of contact, and status of U.S.ownership. 4.4.2 Vendors shall submit a fixed amount price for its solution, further divided into severable milestones. Pricing submission shall be submitted in a separate document with no pricing detail provided in the solution papers. The price volume has no page number limitation. Attachment 2, SOW, is provided to aid vendors in developing price responses and as a starting point for agreement negotiations with Vendors that are selected to prototype. 4.4.3 Vendors shall clearly identify the anticipated sustainment costs and risks for its solution. In the Technical Volume, Vendors should identify technical approaches and rationale within its proposed solution that will result in sustainment cost savings for the government. Sustainment cost savings from the technical approaches shall be quantified and provided. 4.4.4 Vendors shall provide Rough Order of Magnitude (ROM) pricing for potential follow-on production activities. 5.1 The Government intends to award one Other Transaction Agreement as a result of this Request for Solution; however, more than one award may be made if determined to be in the Government’s best interest. 5.2 All questions related to this RFS should be submitted in writing to initiatives@nstxl.org, with “NAVSEA MBPS” used in the subject line. Submitted questions should also clearly identify if they are related to NPDM, NCRM, and NDART or the overarching MBPS requirement. 5.3 Questions must be submitted no later than 12:00 PM EDT 29 March 2019. Questions received after the deadline may not be answered. Questions shall not include proprietary data. 5.4 The Government reserves the right to post submitted questions and answers, as necessary (and appropriate) to facilitate vendor Solution Paper responses. Submitted questions will be posted without identifying company names. 5.5 Responses shall be submitted no later than 12:00 PM EDT on 3 May 2019. Your response shall be submitted electronically to initiatives@nstxl.org, with “NAVSEA MBPS” used in the subject line. Any submissions received after the deadline may be rejected as late and not considered. 6.1 Solution Papers will be evaluated with consideration given to the vendor’s ability to provide a clear description of the proposed solution, technical merit of the response and total project risk. The proposed project price, and sustainment costs, schedule, and intellectual property rights assertions will be considered as aspects of the entire response when weighing risk and reward. The approach should also clearly identify the sustainment strategy and address software updates. Attachment 2, SOW, is provided to guide vendors in developing its Solution Paper responses. The SOW will be used as a starting point for negotiating agreements with vendors that are selected to prototype. 6.2 The Government will evaluate the degree to which the submission provides a thorough, flexible, and sound approach in response to the ability to fulfill the requirements in Attachment 1, MBPS Technical Supplement, 17 January 2019. 6.2.1 Phase I – The Government will evaluate the vendors’ Solution Papers outlining its unique solution(s) and approach(es) to meeting the appropriate requirement set. Estimated length of Phase I is 7-10 days. The pool of vendors will be down-selected to a smaller group that will participate in Phase II of the evaluation. 6.2.2 Phase II – Remaining vendors will conduct in-person Solution Demonstrations. Prior to the solution demonstration, the government intends to provide vendors a list of questions generated from the evaluation of the Phase I solution papers. The questions will assist vendors in demonstrating its solutions. 6.2.3 If the Vendor does not have a solution to demonstrate, the vendor shall brief its strategy for executing the prototype(s). 6.2.4 Estimated dates to conduct Solution Demonstrations are [TBD]. These dates are subject to change based on the number of vendors selected to provide Solution Demonstrations. Location of the vendor in-person solution demonstrations will be provided with an Amendment following the Q&A period. 6.2.5 The Solution Paper and the Solution Demonstration will be evaluated based upon the following criteria. Criteria 2-4 will be evaluated based on the vendors’ solution (NPDM, NDART, NCRM). If Solution Paper only addresses one solution such as NCRM, criteria 3 and 4 will not be applicable. 1. Readily containerize and edge deploy application to seamlessly extend MBPS capabilities across shipyards, ships and submarines, including detached operations. 2. Leverages functional domain driven design and a micro services architecture approach to establish a shared services operating model and position the platform to create innovative cross-domain products and services. 3. Address enterprise edge-to-cloud information pipe constraints by prioritizing data interchange between Enterprise Cloud and Edge based on network bandwidth and critical nature of business capability serviced. 4. Ensure that cloud and edge solutions remain consistent and complement each other’s capabilities by communicating information and syncing data only via APIs and enabling consistent technology stacks. 6. Support the application of Artificial Intelligence (AI) algorithms, optimized in the Cloud, on limited data sets available for deployed (edge) solutions. 7. Enable an integrated enterprise data platform that scales to accommodate thousands of data sources and millions of data point while enabling real time decision making in a highly immersive customer experience leveraging Mobility and AI. 4. Support rapid aggregation and disaggregation of system optimization models to develop complex system, ship, strike / task group and fleet models that produce the design, resource, and cost requirements needed to support different readiness levels across various mission scenarios. 5. Integrate modeling and simulation and enterprise cloud / edge advanced data analytics capabilities to enhance the effectiveness of decision support across the Navy. 6. Enable an enterprise, edge deployable approach to designing, deploying and operating Predictive Maintenance and Prognostic and Health Management solutions to support mission readiness reporting and decision support across the Navy. 7. Include a closed-loop Data Reporting and Root Cause Analysis System (DRACAS) to continuously monitor performance against required/predicted mission and design outcomes, conduct root cause analysis, and improve performance, agility, responsiveness, and scale of supply chain, maintenance and support operations. 2. Anchor “all” product model data to NPDM’s change proposal/notification capability to enable the Navy to affordably manage product data model configuration across the lifecycle? 3. Provide collaborative model-based program and project management business capabilities to enhance a program's ability to meet its business, schedule, quality, risk and technical requirements; associate objects to the program’s product structure; and provide configuration management as part of the system’s baseline? 9. Provide for the specification of the acquisition of data types needed for the NCRM and NPDM components such as (not all inclusive): installation, operation, maintenance, overhaul, failure analysis, reliability, parts management, and other logistics data, etc. 2. Define, execute, and test integration requirements externally to the ETRF and other LogIT applications such as NOBLE, NMMES-TR, etc. 3. Enable use of multi-computing platforms (e.g. laptops, Smart Phone, tablets, additive manufacturing printers, mobile printers etc.) (interdependencies between NOSS, NAMS, NOME, and NOBLE at large). 2. Implement HCD principles and incorporate user feedback throughout the software development lifecycle process (SDLC). 5. Clearly communicate schedule to include risks and dependencies to achieve an integrated MBPS minimum viable product (MVP) to support all Navy MBPS objectives. 6. Standardize and incorporate user experience findings as a pre-requisite for further prototype improvement and development. 6.2.6 The Government will award this OT prototype project through TReX, to the vendor whose solution is determined to be the most advantageous to the Government, cost, schedule, technical risks and other factors considered. One or more OT agreements are anticipated to be awarded to accomplish the necessary work and select the best response(s) satisfying the criteria stated in Section 7.2.5. 6.2.7 The Government reserves the right to award to a vendor that does not meet all of the requirements, but provides attributes or partial solutions of value. 7.1 Export controls: research findings and technology developments arising from the resulting project may constitute a significant enhancement to the national defense and to the economic vitality of the United States. As such, in the conduct of all work related to this effort, the recipient will comply strictly with the International Traffic in Arms Regulation (22 C.F.R. §§ 120-130), the National Industrial Security Program Operating Manual (DoD 5220.22-M) and the Department of Commerce Export Regulation (15 C.F.R. §§ 730-774). 7.2 Interaction and/or Disclosure with Foreign Country/Foreign National Personnel. The contractor should comply with foreign disclosure processes IAW Army Regulation 380‐10, Foreign Disclosure and Contacts with Foreign Representatives; the Department of the Navy Foreign Disclosure Manual, SECNAV M-5510.34, as of June 2017; Department of Defense Directive (DoDD) 5230.11, Disclosure of Classified Military Information to Foreign Governments and International Organizations; and DoDD 5230.20, Visits and Assignments of Foreign Nationals. Upon a vendor’s successful completion of the prototype, the Government anticipates a follow-on production contract or transaction may be awarded to the vendor without additional competition. Successful completion will be defined in the negotiated Statement of Work (SOW) for this prototype project. Specifically, the negotiated SOW will specify the Minimum Viable Product (MVP) prototype requirements (i.e. minimal core features). Successful completion will occur when the prototype has been validated to meet the MVP requirements and is accepted by the Government. Further, the government reserves the right to determine part or all of the prototype project is successfully completed if the vendor shows a particularly favorable or unexpected result justifying the transition to production. To view or download the amended or original request for solutions (RFS) or the above referenced attachments, click on the hyperlinked text below. Membership in the Training and Readiness Accelerator (TReX) OTA is required to submit a solution(s) to this RFS. Questions regarding membership should be sent to: membership@nstxl.org.